AAA Equipment Rentals is your one-stop shop for all your material handling needs in Nyack, NY. Our fleet of forklifts have a variety of load capacities, fuel systems, and mast heights so you’ll find what you need for any construction job, warehouse, or distribution center. Here at AAA Equipment we are a Manitou dealer and carry forklifts and lulls ranging from electric, gas, propane or diesel. We carry indoor and outdoor forklifts from 5000 lbs lift capabilities all the way up to 12,000 lbs telehandlers. 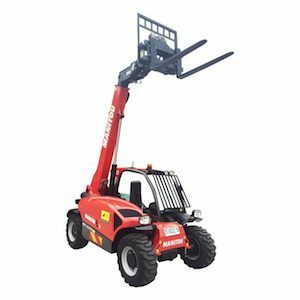 We not only carry the Manitou line but have many other brands in stock for any of your lifting needs. We have cushioned or solid tires, user-friendly equipment, side shift tilt forks, and many other options. Come down to see all of the unique forklifts and telehandlers we have in stock. When it comes to indoor lifting we have a full line of material lifting equipment to use. For that load up to 650 lbs and 18 feet. This lift replaces a dolly or forklift in areas that it could not reach. The lift operates by a winch system ideal for lifting and stacking and is easily maneuverable in tight spaces. It fits easily into a pickup truck or van for transport.